The Orbán government established the Counter Terrorism Center (Terrorelhárítási Központ, or TEK) special weapons and tactics (SWAT) organization on September 1, 2010 (source in Hungarian). The primary objectives of TEK are to combat terrorism and protect the prime minister and the chief prosecutor of Hungary. On December 30, 2011, Fidesz–Christian Democratic People’s Party National Assembly representatives approved an amendment to the 1994 Police Law that provided TEK with the right to conduct surveillance and gather information with authorization from the minister of justice on individuals without demonstrating that they were engaged in activity that posed a terrorist or national-security threat (source A and B in Hungarian). TEK operates under the authority of Interior Minister Sándor Pintér. 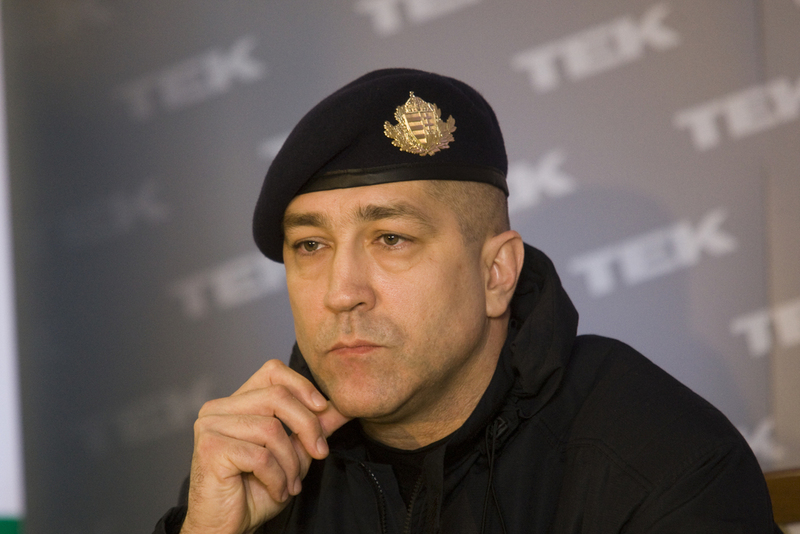 János Hajdu, Prime Minister Viktor Orbán‘s former personal bodyguard, serves as the director of TEK (source in Hungarian). The headquarters of the Counter Terrorism Center is located in Budapest, while TEK maintains operational divisions at Liszt Ferenc International Airport on the outskirts of Budapest as well as the border cities of Szombathely, Pécs, Békéscsaba and Debrecen (source in Hungarian). TEK had total personnel of around 1,000 in 2013 (source in Hungary). The government raised TEK’s 2016 budget from 12.2 billion forints to 27.9 billion forints (89.3 million euros) in May 2016 on the grounds that terrorist attacks in Paris in November 2015 and in Brussels in March 2016 indicated that the threat of terrorism had increased in Hungary (source A and B in Hungarian). TEK’s budget has risen from around 10 billion forints in 2012 and 13 billion forints in 2013 (source in Hungarian). TEK personnel are paid three times as much as regular police (source in Hungarian). 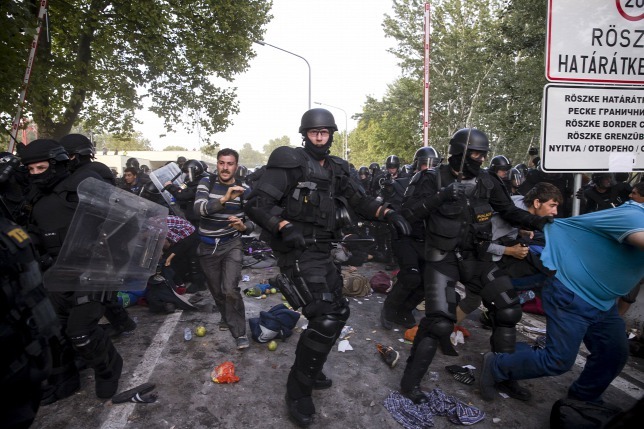 TEK clashes with migrants along the Serbian-Hungarian border (photo: Reuters). The most conpsicuous and large-scale action that TEK has engaged in so far has been its clash with migrants at a border-crossing in southern Hungary after the Orbán government closed their final point of entry into the country from Serbia in September 2015 (source in English; see also The Curtain Falls Again and The Fields Are Speaking Pashto). TEK has also conducted several operations abroad to liberate Hungarian hostages, most prominently in Syria in August 2012 (source in Hungarian). TEK has sealed the neighborhood around Prime Minister Viktor Orbán’s house in Budapest on several occasions (source A, B and C in Hungarian; see also Marching to Praetoria). In late 2015, TEK officials claimed to have uncovered a plot to assassinate Prime Minister Orbán (see The Dubious Plot and The Dubious Plot 2). In April 2015, President János Áder ordered TEK to cease providing him with personal protection. Citing unnamed sources, the opposition news portal hvg.hu reported that President Áder did so after discovering the Prime Minister Viktor Orbán was likely receiving inside information from TEK regarding his meetings and agenda (source in Hungarian). The Court was not convinced that the legislation in question [the December 2011 amendement providing TEK with surveillance rights] provided sufficient safeguards to avoid abuse. Notably, the scope of the measures could include virtually anyone in Hungary, with new technologies enabling the Government to intercept masses of data easily concerning even persons outside the original range of operation. *Note that the European Court of Human Rights hears cases related to the European Convention on Human Rights adopted in 1950 under the auspices of the Council of Europe of which Hungary has been a member since 1990. The European Court of Human Rights should not be confused with the European Union’s European Court of Justice, which is based in Luxembourg.